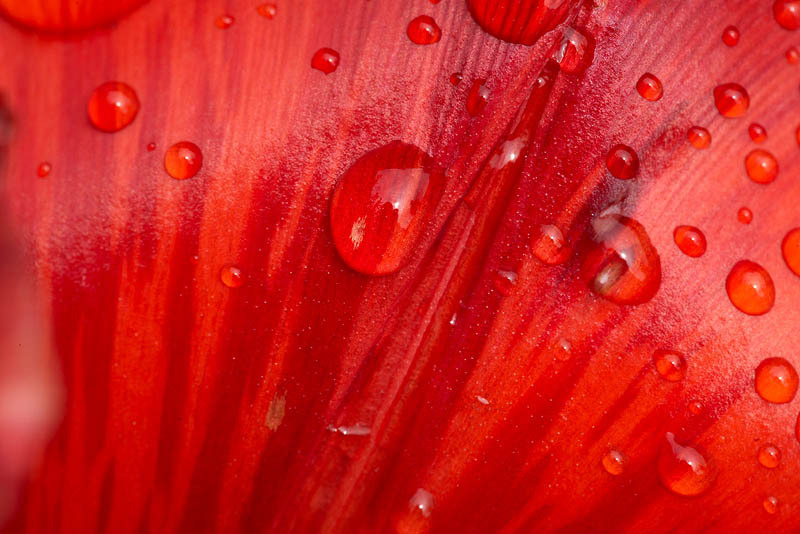 Macro of red tulip petal with rain drops. Wet petal of beautiful red flower. Bloom with droplets of garden plant. Bubbles on blossom flower. Nature, botany, flora. Abstract texture background. Art photo.